Connection. The sole premise behind the beginnings of the Beer Trolley. We value the hell out of it. We hold it to the highest regard. It’s been driven into our hearts because our parents prioritized human connection above all else. Their example is always the force behind our action. So we set out to create a platform where we would have the freedom to build an experience that magnifies the importance of connecting people. 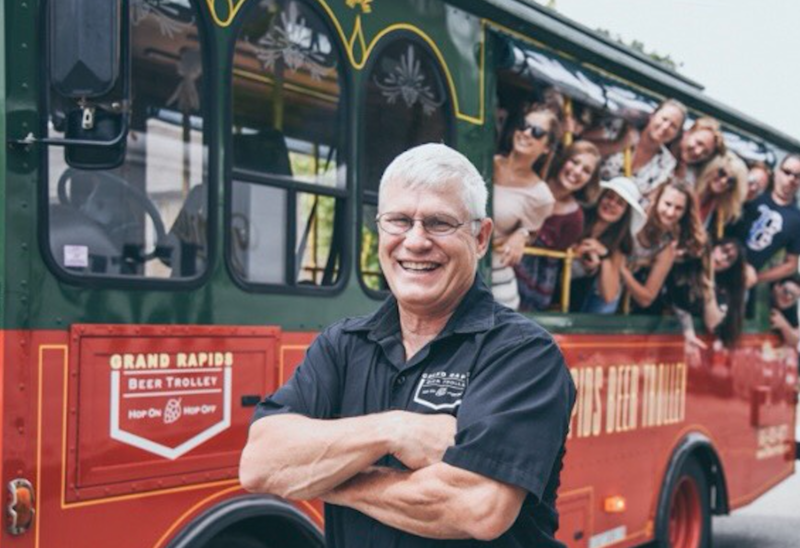 An experience that complements the culture of community we cherish and makes Grand Rapids a city worth sharing. 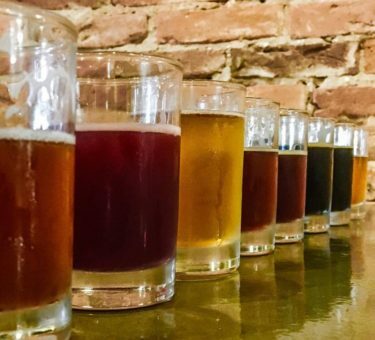 This BYOBevvie tour highlights the best hard cider spots in west MI! We will wind through the trees, drink in hand! 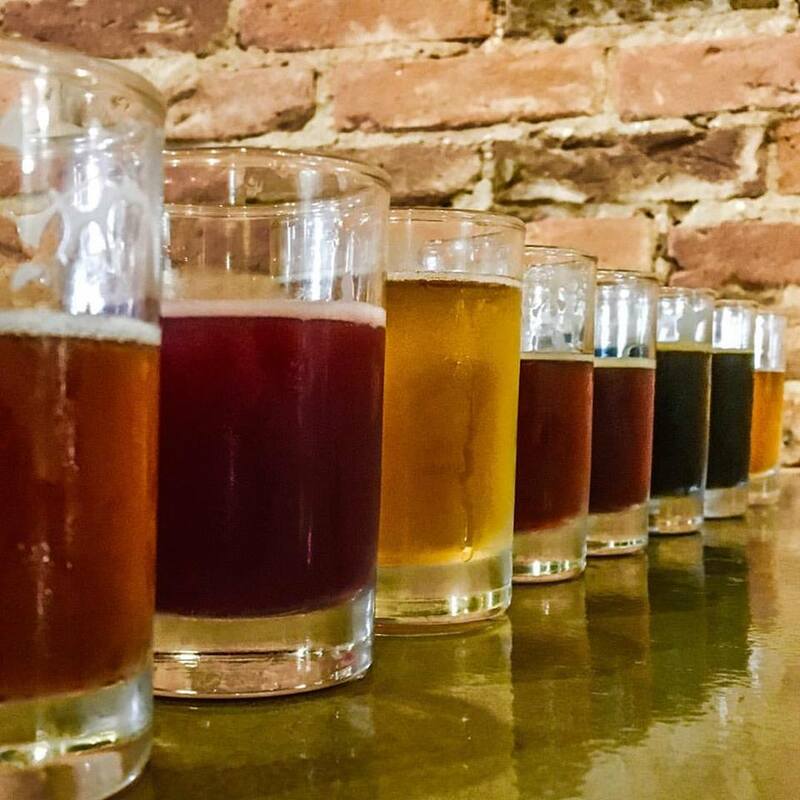 One flight of cider is included. Servicing corporate outings, bachelor(ette) parties, birthdays, and anything else worth celebrating! 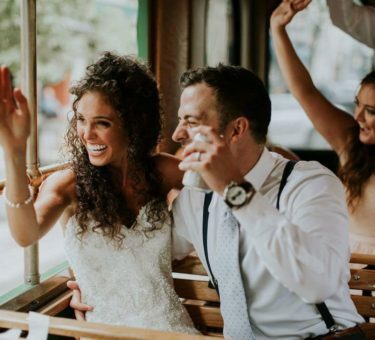 Come and celebrate your day with us- it’ll be the best decision you’ve ever made! 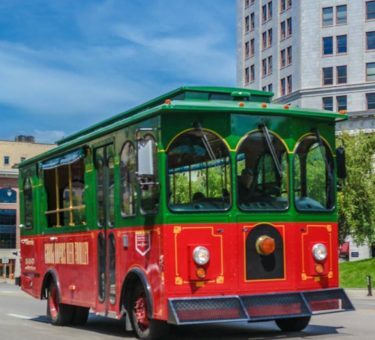 Our 2018 ArtPrize Tours will run from September 19 through October 6th! 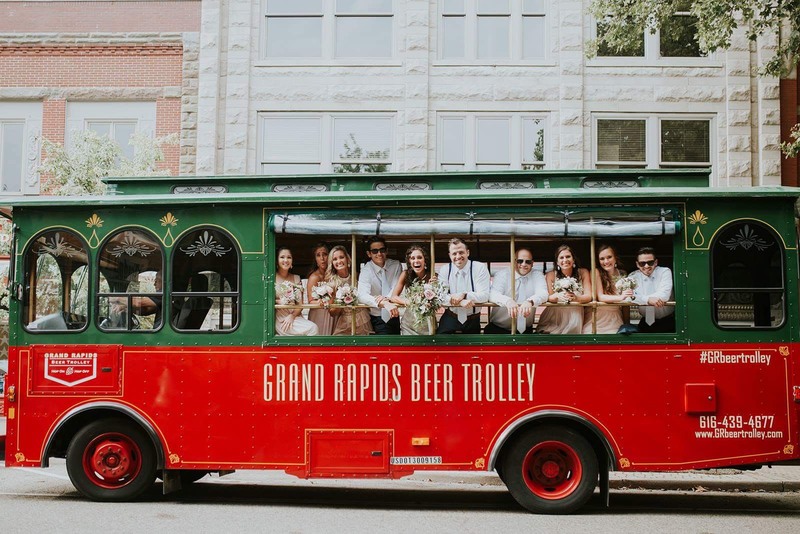 Grab your beer and experience the art Beer Trolley style! Our 2018 BYOB Christmas Lights Tour will run every Friday and Saturday in December from 6p-9p. Tickets are on sale now! John drives you, but what drives John? The man with the massive forearms…that’s our dad, John! 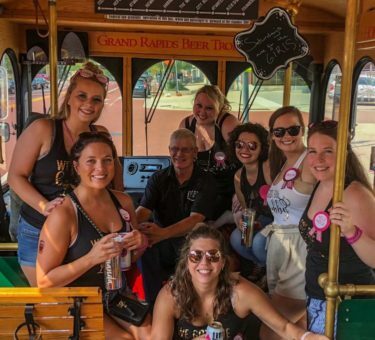 He is undoubtedly the coolest trolley driver east of the Mississippi. His brute strength stems from the four decades he has coached wrestling. Beyond his tough exterior, he is a man of integrity and heart who has instilled in us the importance of hard, honest work. Hospitality is his M.O. and the driving force behind the experience he helps create on the Beer Trolley. The man with the massive forearms…that’s our dad, John! 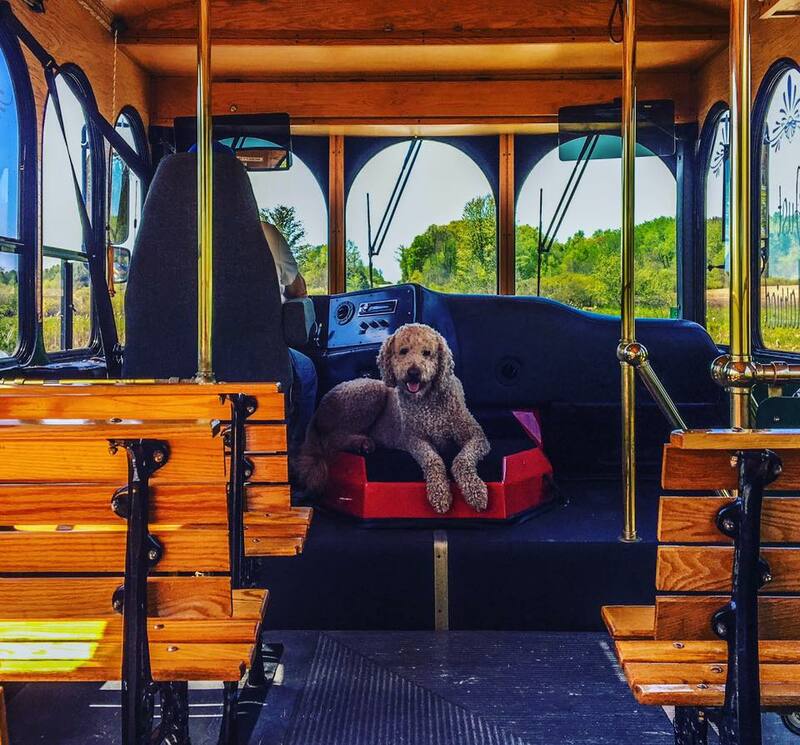 He is undoubtedly the coolest trolley driver east of the Mississippi. His bruteness stems from the four decades he has coached wrestling. Beyond his tough exterior he is a man of integrity and heart- who has instilled in us the importance of hard, honest work. Hospitality is his M.O. 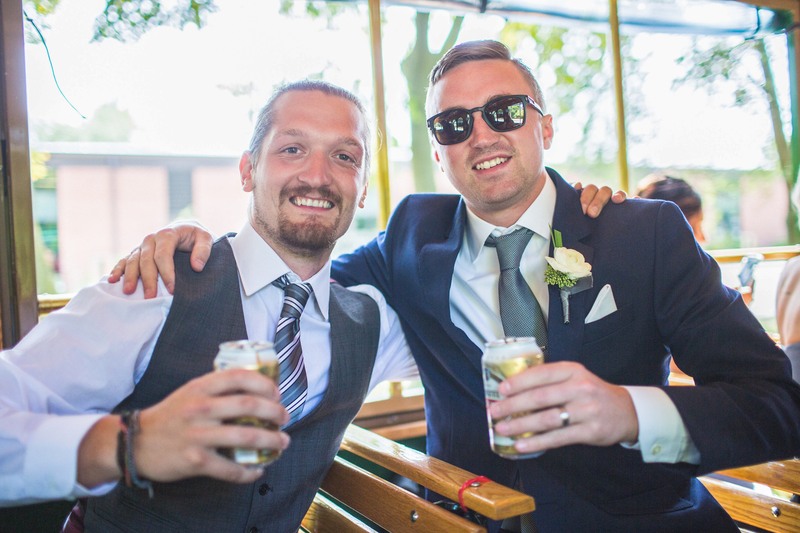 and the driving force behind the experience he helps create on the Beer Trolley. 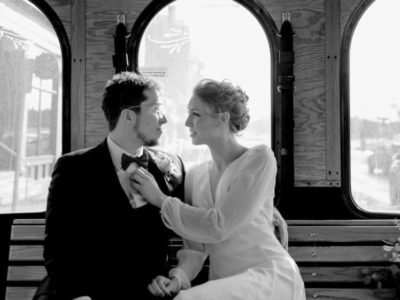 We love working with brides and pride ourselves in making your day both effortless and memorable. 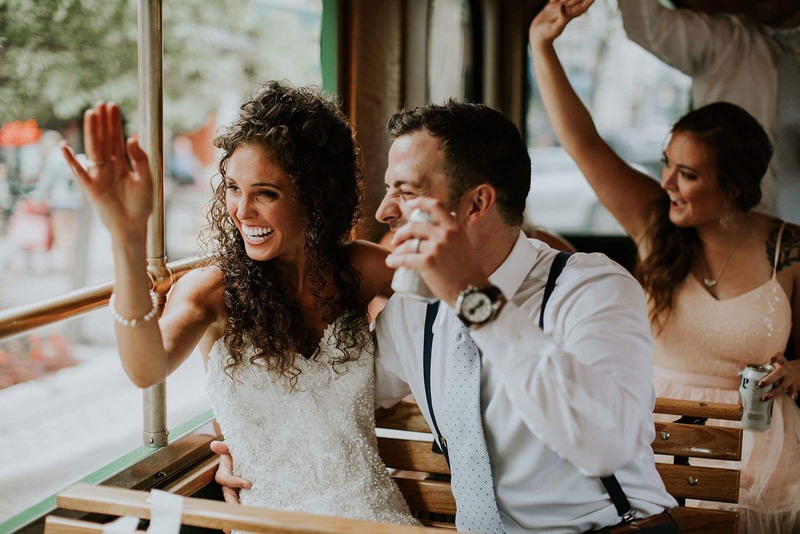 Our nostalgic trolley will take you back in time, providing an elegant backdrop for gorgeous wedding photos you will cherish for a lifetime. Social innovation thrives on collaboration. While we want to work for you, we are even more excited to work WITH you. Give us a shout below and let’s ignite the spark for your next unforgettable adventure! Honestly I have used my fair share of party buses/private transportation and I would give them ten stars if I could. I spoke to Austin who helped me with any questions that I had prior/during booking. He was even able to accommodate a last minute time change in our schedule. Austin’s Dad, John, was our driver and he was just as fantastic! He was happy to take us anywhere we wanted and gave us enough time to drink in between stops. He even took some great photos for us AND had an awesome play list his daughter made for people on the bus so shout out to her! I could go on but long story short, they were amazing and no one should hesitate to use them! 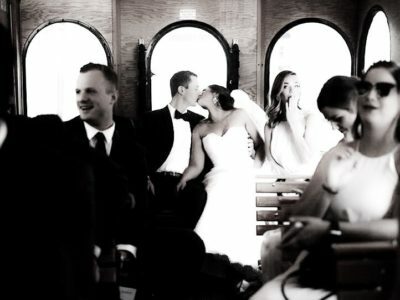 We used the trolley on our special day and it was a treat! Austin was very easy to communicate with and had everything go smoothly. 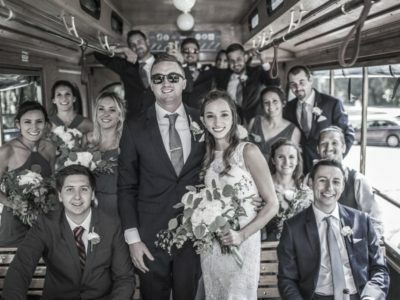 When the trolley showed up they had a cute wedding sticker and wedding playlist playing. 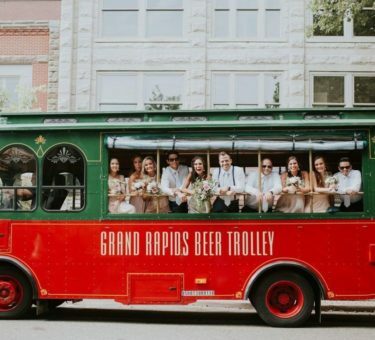 ME and my bridesmaids had so much fun driving around PLUS you could drink on the trolley SCORE. The driver even pulled where there wasnt snow so we could get out without getting our dresses dirty. Overall it was a fantastic experience and made for beautiful memories and pictures. 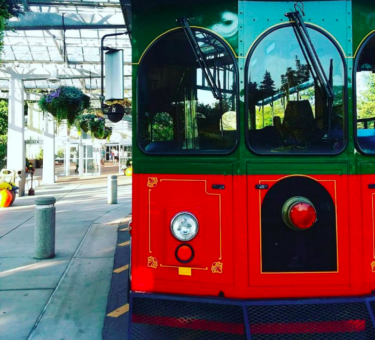 Had a blast on the Trolley! It’s very inexpensive to ride which is great. 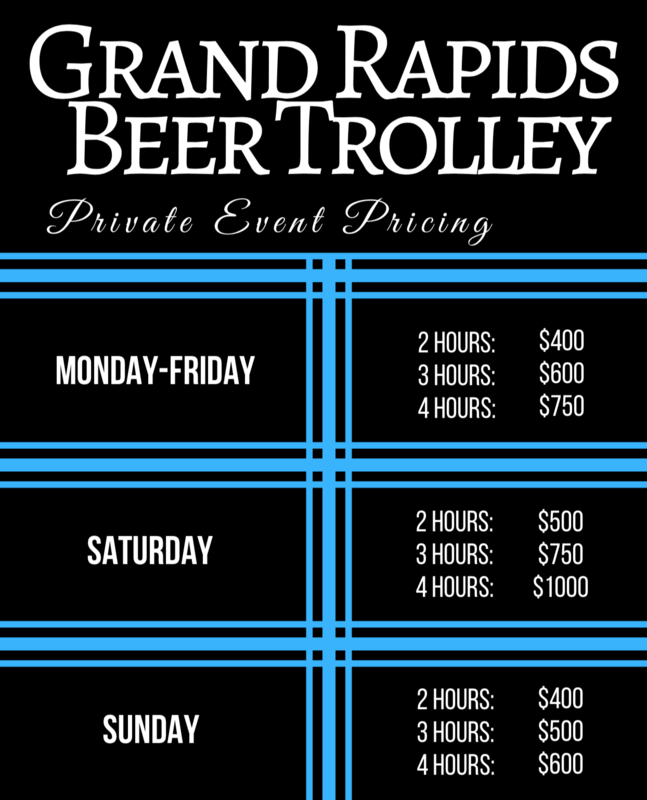 A fun and safe way to visit all of these different brewery’s around GR with your friends and family! Can’t wait to do it again! SO MUCH FUN! Totally worth the ride. Got brought around from brewery to brewery, could get off at any stop for a beer or move on to the next. I will definitely be going again. This purchase was FANTASTIC! 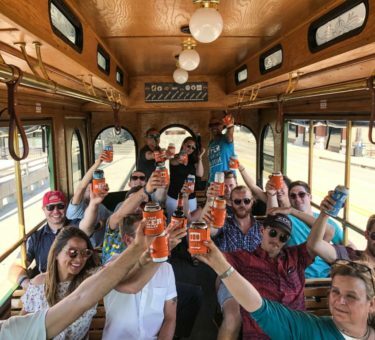 We hit 7 breweries, parked our cars at one of them, and had an utter BLAST on all of the rides in between. 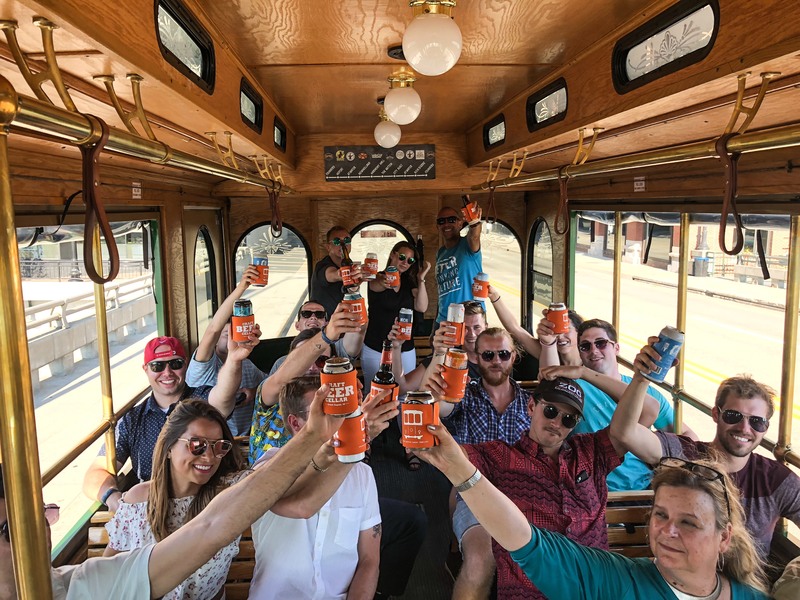 Knowledgeable employees, free water on-board, cell chargers, let the people riding pick the music,… we had more fun while riding than in half of the breweries, and that’s saying something! Very excited to do this again, possibly for the ArtPrize tour! Took a ride with the family after eating dinner in GR last night. 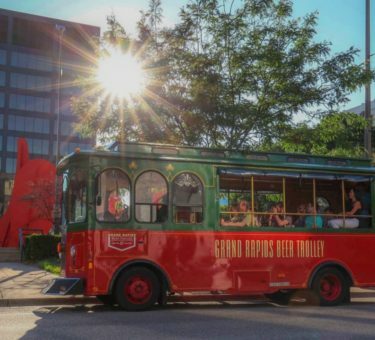 What an awesome way to see downtown GR and be able to hit the breweries and a couple distilleries. Would make a great 21st birthday/bachelor/bachelorette party! Can’t wait to go back without the kids and spend a night at one of the hotels in walking distance to a stop and have a fun night out. The guide was great and had a lot of great info about the downtown area. 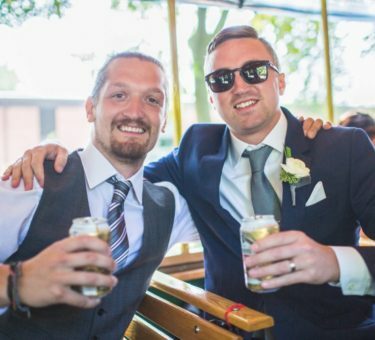 I highly recommend experiencing the breweries via the Beer Trolley! 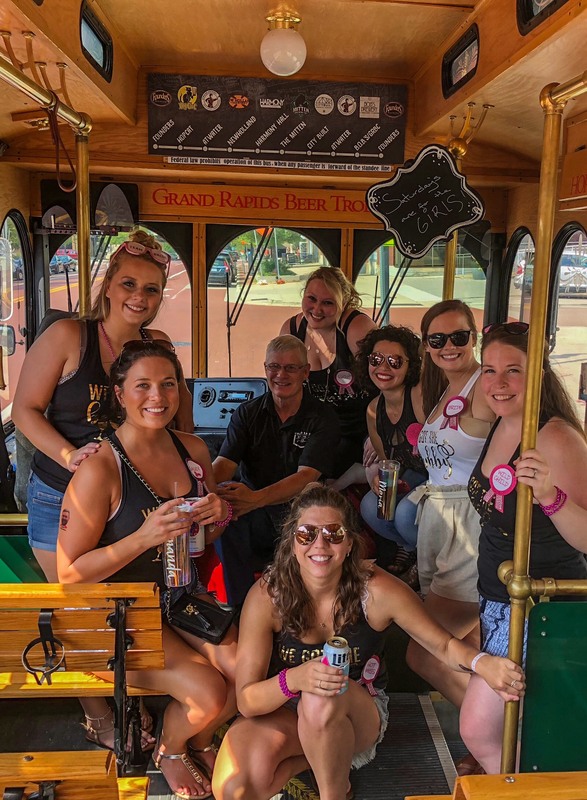 We had a wonderful time on the trolly for my daughter’s 21st birthday brewery tour. Amazing family-run business that takes great care of their customers! We will ride again. The Best in the City of GR! You just might want to recreate the day we had today! 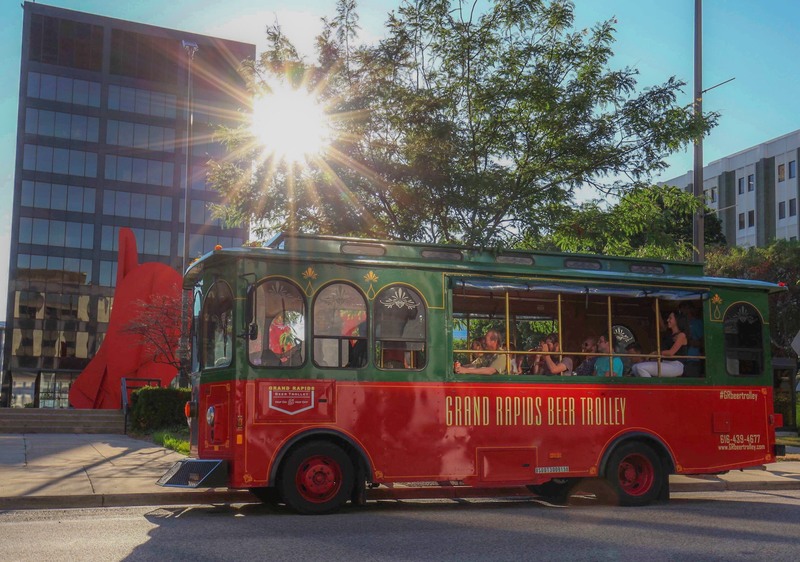 Starting in Downtown Grand Rapids, the Grand Rapids Beer Trolley picked us up at the JW Marriott and took us to a “walkable Grand Rapids gem” called “Uptown.” This area is filled with upscale quaint shops, antique stores as well as consignment stores and restaurants/pubs. Not to mention all the historic homes we saw along the way or the refurbished historic funeral home which is now a brewery. 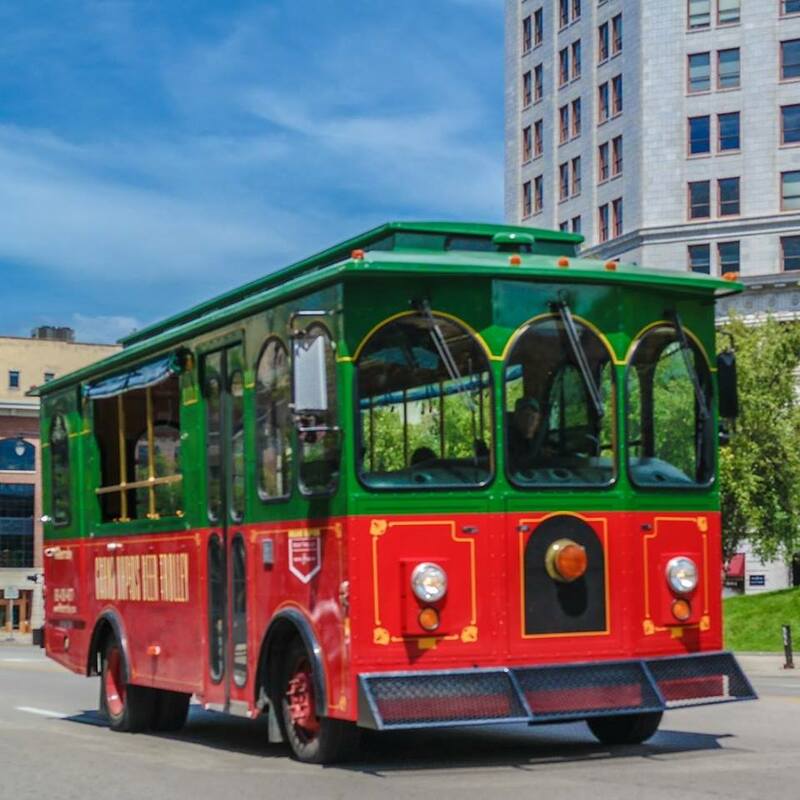 Riding in this open-air trolley, with polished wood interior was certainly a special treat. We had a friendly driver and good music as we traveled, so it was the perfect way to see the city and enjoy our time as a group. We used it for a private rental, the owner was great to work with and our driver John was so friendly and knowledgeable. Can’t wait to use it again for the beer tour! 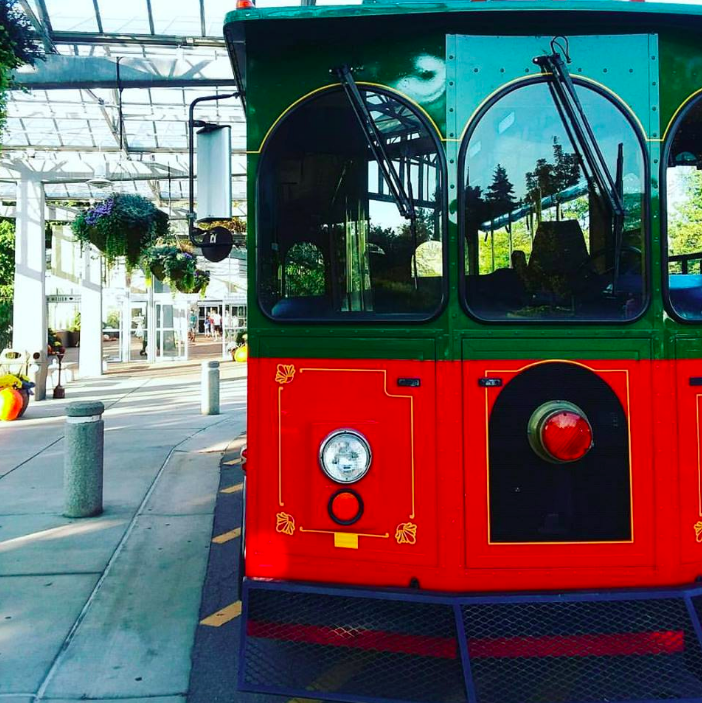 The trolley itself is very cute and clean, they play some great music while you ride between stops. 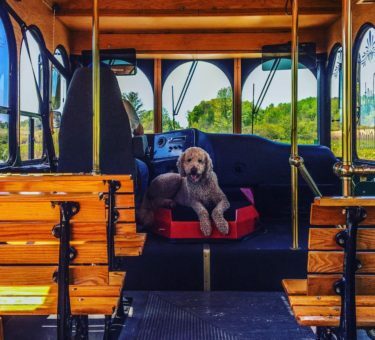 Its a great way to get around town!